When you think about the entire industry, its not difficult to imagine 10 percent to 20 percent of cars being electric, said Osamu Masuko. 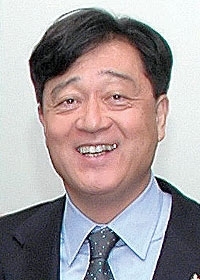 TOKYO -- When President Osamu Masuko took the helm of Mitsubishi in 2005, the company was still being battered by years of losses. He steered the automaker to a record operating profit just last year, but now the global financial crisis is threatening this turnaround. Masuko knows that rolling out more small, fuel-efficient cars with worldwide appeal is the best way to weather the storm, but how to deliver the right model mix globally is one of his enduring problems. Masuko, 59, talked through an interpreter with Automotive News Europes Asia editor, Hans Greimel, about his outlook for the global economy, the companys plans for electric vehicles and for its current model lineup. These are tough times for the entire industry. What is Mitsubishis current outlook? With regards to the first six months, we have reached our target and we are very happy. But as for the environment, its becoming very difficult and the second half will be very tough. So what we have to do for a while is to keep going. Whats important for us is that there will be a gradual economic recovery, so we have to be prepared for that. How is Mitsubishis Step Up 2010 mid-term business plan being affected by the sudden downshift in the global economy? You had been hoping to double net income in three years. But you have already downgraded your earnings forecasts for this fiscal year. We need not change the positioning of Step Up 2010. We have to accept the fact that the economic environment is changing dramatically. The biggest factor of change will be foreign exchange, so our business model has to be very flexible. We have been exporting to Europe from Japan because there was a cost advantage in the past. But that might not be the case in future because of the depreciation of the euro towards the yen. So maybe we have to buy from somewhere else and not export from Japan to Europe. So the strategy remains the same, but what about the numerical targets? We might know where the global economy is heading after Western companies issue their full-year results at the end of December. So maybe at that time, we can review what we have been doing and think about how to proceed. But now is not the time to make decisions. Your i MiEV electric vehicle goes on sale next summer in Japan. What can you tell us about its sales targets there and its debut elsewhere? In Japan for the fiscal year 2009, our target is 2,000 units. At the same time, we will conduct driving verification tests in the United States and Europe, as well as in Singapore and New Zealand. A left-hand drive vehicle will be introduced in the summer of 2010, so we will be able to export a left-hand drive version after that. Our sales volume plan for 2010 is 4,000 units, and from 2011 onward its about 8,000 to 10,000 units, globally. The first 2,000 units will be almost entirely from Japan. As for the United States, we havent decided on the sales timing, but it will happen after we start left-hand drives. What kind of global demand do you forecast for electric vehicles? When our electric vehicle debuts next summer and people see it running around the city, it will receive a lot of attention. Theres no noise, no smell, no emissions. When you think about the entire industry, its not difficult to imagine 10 percent to 20 percent of cars being electric. But we have to think about the mass production of batteries. It will take time for manufacturers to ramp up production, so it may be around 2020 before we have fully established facilities. What other kinds of electric vehicle models does Mitsubishi have in the works? We are currently also developing an electric vehicle for commercial use, for delivery, cargo, luggage or transport. We expect volumes to keep growing by catering to these commercial needs. We have not shown this commercial vehicle yet but we would like to do so in the very near future. We intend to take this worldwide. Theres a global need for commercial vehicles for small shops and delivering mail or packages. Is the commercial vehicle based on the i MiEV? Yes, its the same platform, only the body is different. We could launch it in the same time frame as the i MiEV but there is one problem. We said we will sell 2,000 electric vehicles next year, but this is due to the capacity of battery production. But already we have a lot of inquiries about the electric car, so I dont know how much we would be able to allocate to the commercial vehicle. So first were going to concentrate on the i MiEV, but in the longer term we have to respond to the needs of customers who want to go longer distances. So we will have to install this system in bigger vehicles. If we think about that, it means a plug-in hybrid is necessary. The motor, inverter and battery are the three key components, so we have to think about how to achieve this. What are your plans for plug-in hybrids? I think there are two ways of getting to plug-in hybrids. One is from hybrids into plug-ins, but what we are doing is jumping from electric vehicles directly to plug-in hybrids. Were not going to take the interim step of hybrid vehicles. Our image of a plug-in hybrid is very close to that of an electric vehicle. The purpose of the engine is to provide power for the battery. So when you talk about the hybrid vehicle running, its actually running on batteries and motors. We have to further develop the electric vehicle base before expanding into plug-in hybrids, but we will be developing plug-ins in parallel with electric vehicles. Are you thinking about introducing new vehicles to tap the demand for small cars? The criterion will be if its a vehicle that can be sold on the global market. We dont have any concept of strategic regional vehicles. We have done away with that, and were trying to produce global vehicles. As for manufacturing in the United States, any vehicle made there should not be sold in the US alone, it should be a global product. Do you think 2009 will be worse than 2008? In terms of a global economic recovery, I think people will start feeling that, not next year, but maybe in 2010. What does Mitsubishi need to do to meet new mileage and emissions regulations in Europe? There are lots of solutions we have in mind. We have to think about enhancing gasoline engines, bringing out clean diesels and biofuel. You also have to do electric vehicles. We have to accept this as an opportunity. When people run into these difficult challenges, they can generate new ideas that lead to technological innovation. What do you think of the US governments guaranteed bailout loans to American car companies? Do you think its fair? Let me first say, a few years ago we were in a very difficult situation as a company, but we have recovered to this level without any support from the government. But I sincerely hope these three American manufacturers will recover soon. I dont think its unfair for the government to support them. It will probably be short-term, not long-term. I think its a good idea. How worried are you about a backlash against Japanese automakers if one of your American rivals goes bankrupt? In the past, Japanese companies were criticized for their market share in America, and one had to engage in self regulation. But the economy is a market economy. People should be allowed to compete freely, otherwise we wont have healthy companies and customers will also suffer. Does Mitsubishi have any plans to apply for the emergency loans? We dont have plans to do that. What models dont you have in the United States that you wish you had there? Among the vehicles we have, if we could be making one there and selling it there, it would have to be the pickup truck. Its the Triton. Its a very small pickup truck compared to the ones built in the States. We have sold a lot volume in the past. If we were manufacturing this in Normal, Illinois, then probably even in this economic environment, it would be selling well. I wish I had that in the United States right now. Any thoughts about reintroducing it? No plans whatsoever. The timing is bad for us to try to develop a new market. Is there a possibility of bringing Lancer production to the United States? We havent decided on that yet. But to do the Galant again in the United States is not realistic. Not actually stopping production of the Galant. But a vehicle the size of the Galant as a successor model or next generation for the United States, maybe thats not realistic. We havent decided to manufacture the Outlander or Lancer in the United States, but to manufacture core models in the United States makes sense. Thats the right way of thinking. Are you looking at the Illinois factory as a potential export hub? Yes. We already have experience in that. Weve exported the Galant to Russia, the Ukraine, the Middle East and Latin America. Were going in that direction with the Eclipse too. Were studying a lot of possibilities at the moment. It is not realistic to think about building a new plant, given the production capacity that we still have open. We have to think about how to effectively use our capacity. What can Mitsubishi do to bring small cars to the United States quickly? The Colt? Were not thinking about bringing the Colt to the United States. If were going to introduce a small car to the United States, its not going to be the Colt but something that will be developed anew. When we developed the current Colt we had no plan of bringing it to the American market. So it wasnt built thinking about American crash tests and other regulations. What is your forecast for total US market volume this year? A lot of people say 13 million units. Of course, the US market is the worlds biggest, and it has a very important strength. That is, the population is increasing. Among the developed world, you dont see many countries in which the population is increasing. So Im sure there will come a time when its back to 16 million or 17 million. What are Mitsubishis plans for its Normal, Illinois, plant? It will be open for another four years, but is still not operating profitably. Up until now, we thought it was the right way to actually manufacture big D-segment vehicles like the Galant or Endeavor in the United States. But because of the fluctuation in oil prices as well as concerns about environmental issues and the financial crisis, the trend has changed. American consumers are more geared toward smaller vehicles all of a sudden. I dont think this trend will change. We have to think about what were going to be manufacturing. We cannot think about extending our business as it is right now because we wont be able to secure the volume we want in the US. Our biggest interest right now is in manufacturing small vehicles.